Historical Inspirations – A lineage of sorts. Today we are not only celebrating his birth but also celebrating his awakening and not just his awakening but also his passing away – indeed we are celebrating the whole life of the man we call Buddha – the awakened one. Together we celebrate the amazing birth of the Buddha, and we are also celebrating our own miraculous birth – the very fact that we are alive is a precious gift – in a meaningful way Vesak day is also a celebration of our miraculous birth -we celebrate the fact of being alive – We celebrate knowing that the Buddha’s birth, and our birth and our awakenings are mutually dependent. Now no one has any idea of when Shakyamuni was actually born– April or August is unimportant – Vesak is celebrated during Spring allowing nature to be a teacher – to be a poet – During Spring the natural world awakens from its winter sleeping – and the Buddha coming into the world is like the world waking up – many of us understand this, we who were sleepwalking before we found the teachings of the Buddha – the first exuberant blossoms of spring waking from within the peach tree remind us of the possibility of our awakening. This day is also a day to reflect on the miracle of birth itself – we are grateful for the birth of the Buddha and our precious birth – Each of our individual lives are utterly unique and unrepeatable, and today we can reflect on this fact how precious life is and not just a life to endure, but through the Buddha’s example and teaching – an “awakened” life be lived in gratitude and joy. In the Buddhist tradition, our human birth is seen as precious, more valuable than any treasure. In the Chiggala Sutra, the Buddha speaks of the chances of being born a human being. Those chances, he observes, are infinitesimally small. They are comparable to those of a blind tortoise swimming in an ocean as large as the planet, where an ox’s yoke is afloat on the waves. Every one hundred years, the tortoise surfaces. The chances of being born human are no better than those of the tortoise surfacing with his head in the yoke. Human birth is extremely rare and therefore most precious. So to put into modern terms instead of an Ox Yoke, let’s say a life preserver – so what are the chances –that our turtle could do just that? Actually, someone has figured that one out – a Dr. Ali Banazir took the size of all the oceans and the size of the opening of a life preserver and calculated the odds and calculate that they would be about 1 in 7 trillion – and this scenario the ocean is still as glass and there are no winds blowing our life preserver. Dr. Benazir did not stop there. He wondered about each of us; what were the odds of just our parent’s meeting (I will post the math on our FB page). To be concise, he found that the odds of your parents just meeting was 1 / 20,000. Talking to one another is another 1 in 10 and wanting to talk again is also 1 in 10. So the probability of them liking each other enough to have children is about 1 in 400 million – not stopping there, the chance that one sperm carrying ½ of your DNA and that one egg carrying the other half meeting and go to full term…that number is 1 in 400 quadrillions! But hold on – if we go back in time to all of your ancestors which are about 150,000 generations all with about the same odds that you had to be born – the number works out to be about the 400 Quadrillion number raised to the 150,000 power – that number is a ten followed by 2,640,000 zeros. Think about that for a moment. All that has happened for us to be here- and we complain about traffic or our neighbor, we worry needlessly about this or that – we try hard to seem special. You already are. Ten followed by 2,600.00 zeros! “Realizing this we can see that our birth is truly a rare and wonderful gift. We have a deep obligation to live this life in mindfulness and Joy and compassion. So what has finding the dharma mean to you and your life? And when this happens; we all become Buddha, when we are awakened to our own Buddha nature. We are now going to participate in the washing of the Buddha – a tradition practiced on Hanamatsuri – on Vesak day for over a thousand years by Buddhists all over the world. Those who would like to are welcome – there is no expectation that you do. We wash the baby Buddha as a welcoming into our lives and as a representation of the washing away the dust from our eyes, washing away our ignorance to reveal our innate Buddha-nature to give birth to the Buddha within each of us – and to turn our hearts to all sentient beings. How is it done? First, we approach the table and bow. 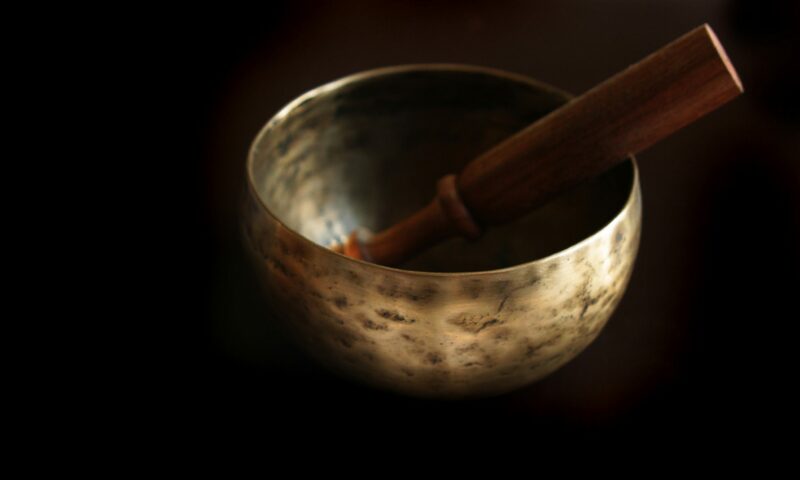 Then we take the ladle and pour the water over the Buddha three times – representing the washing away of all that which obscures our awareness of our innate Buddha-nature. The first time we say to ourselves, May I eliminate harmful thoughts – the second, may I practice kindness to all beings – and then lastly, may I help awaken all living beings. Then bow and silently say Namu Amida Butsu. “We celebrate the Buddha’s birthday today. We remember to be grateful for all that he has taught us – grateful to be born human – this wonderful unrepeatable life, grateful for showing us that we are all connected to each other, grateful to know that we all are born with Buddha nature, and grateful for Amida’s Vow reaching out to all of us, no matter how troubled, no matter how happy – that we may find Joy in life. Our Chant and What it Means. We chant a version of the nembutsu which means to keep remember the Buddha. Here is the chant that we do every Sunday as a part of our practice and a brief explanation of what it represent? Here it is. The chant traditionally uses Namo which means Homage to, we use the less traditional “namu” which means “to bow” and can also be loosely translated as “to become.” as to become Amitabhaya Buddha who is a Trans-Historical Buddha of Boundless Compassion accepting everyone just as they are, a Buddha of absolute grace. The chant is an aspiration to become like Amitabha Buddha and to demonstrate boundless compassion for all beings. Namu Amida Butsu means I follow/return back to Amida Buddha it is also there to remind us that Amitabha Buddha is there to help us realize our Buddha-Nature and all the Buddhas sing for our awakening. On a more practical level, we say Namu Amida Butsu, especially after become aware of doing something that reveals our foolishness, lack of compassion, our greed and anger. For me it means, each moment of awareness is a moment to begin again, that I always have a “blank slate” to begin again even right after doing something foolish. This opens a boundless space of practice and self-compassion, until we come to realize the path of pure surrender. I like this straight forward take on reciting Namu Amida Butsu. Shinran (1173–1263) taught that for most of us, the pursuit of enlightenment is a futile, ego-driven exercise, and that thanks to tariki, or “other power,” or the personification of “Buddha-Nature” within Amida Buddha, we come to understand that we are already enlightened. “We should chant the Nembutsu out of gratitude, because we realize that we are already home home and we’re grateful. For those of a more traditional or formal perspective here is a link. From a young age many of us are afraid to be someone who doesn’t know. Maybe we are afraid to be seen as dumb and therefore unacceptable, so we wing it and hope the other person doesn’t see that we actually don’t have a clue. This is not just anecdotal, studies have shown that when children are giving unanswerable questions, they makeup answers, to seem like they know rather than to be found not knowing. This habit sticks with as we grow up, for some of us they become the three hardest words to say. We all know that feeling; usually half way through, when we realize we really have no clue what we are saying and how much easier it would have to simply say, “ I don’t know”. Instead we find ourselves five years old again, dancing around with our made up answers, again hoping no one will notice. To be clear, the knowing I am referring to is not confusion or paralyzing doubt and it is not knowing in opposition to not knowing as in not knowing the capital of Nebraska, or even a set of propositions such as the four noble truths. When I say “I don’t know” I am talking the spirit of openness and curiosity a “I don’t know! Let’s find out!” or “Let’s keep going and see what happens,” it is the not knowing of faith. Suzuki Roshi wrote in Zen Mind, Beginner’s Mind, “With beginner’s mind there are many possibilities, in the expert mind there are few.” Beginner’s mind is the essence of not knowing”. For those trapped in “knowing” the vista is limited, the questions are answered, all is settled, the world is fixed, but in the end, the light at the end of the tunnel is not more knowledge but the Dukkha Express and it is coming fast. So how can we cultivate the non-dual spirit of “I don’t know”? The first thing is to simply being willing to not know, to let go of the knowing. I have found the world is lighter when I am free of having to know, I am more patient, less stressed, open. Here are two concrete things we can do to cultivate the not knowing. First there is a good practice suggested by Buddhist teacher, Gil Fronsdal, is to attach “I don’t know” to as many thoughts as possible. For example, when thoughts arise like, this is good or this is bad or I can’t handle this; these become, I don’t know if this is good or I don’t know if this is bad or I don’t know if I can’t handle this. As he says, “the phrase “I don’t know” questions the authority of everything we think.” It allows us to be free of fixed ideas, it can create curiosity and allows an openness to creativity.” He goes on to say that this simple phrase can help us challenge tightly held beliefs and can “pull the rug out from under our most cherished beliefs.” Not knowing opens the world to us, it makes a way for us to be compassionate, patient, kind, honest and help cultivate equanimity. The last thing that we can do to cultivate the essence of “I don’t know” is bowing. James Ishmael Ford has written about not knowing and how it relates to the act of bowing. I raise my hands in gassho and bow to each of you. Lately the world seems on fire, with mass shootings, mass migrations and terrorist attacks. People are more polarized of late, cultural shifts, deep old wounds are festering and all of these are changing the landscape, the earth seems to be moving under their feet and many are taking refuge in nationalism, bigotry and fear. The rawness and depth of this really hit home with me, especially when the little refugee boy washed up on the beaches of Turkey. I have a boy about this age…the image haunted me for days. What would make a father put his child at risk like that. A picture of the city his family left was published with the caption, “this is why you put your children on a boat.” The city the boy was from was destroyed; a city of skeletons, torn and broken homes, some burning, desolate and abandoned streets, the same streets that had heard laughter and music, the buzz and honk of rush hour, bird song and the heart beats of lover, now was a city of the dead, with only the sound of distant mortars, more a mausoleum of lost hopes, and dreams. Looking at the picture I was reminded of the words of the Buddha, “The world is burning.” And it is not just from war torn areas, there are refugees everywhere, there are spiritual refugees, spiritually homeless who have homes, spiritually friendless who have friends, those who know where they are at is not “right” that something is missing. It seems we are all looking for refuge, looking for a spiritual home. As I have keep going on our journey I have found it, and it has always been waiting for me in the Buddha, the Dharma and the sangha, it was like coming home. I think this makes sense since we go to refuge saraṇa-gamana which in Pali could be translated as “coming home” we come home to the Buddha, the Dharma and the sangha. I have always wondered about this quote from the Pali Cannon, a famous quote by the Buddha, used by many a rugged american individualist, those mindfulness practicers that follow a more “up by your bootstraps” kind of Buddhism. I like the context in which Jaffe Cole puts the quote. ” A common cliche we often hear today is to follow nobody but yourself. We are our own gurus, our own masters. We don’t need teachers or anybody to show us the way. We are the Way! Therefore, Ānanda, be islands unto yourselves, refuges unto yourselves, seeking no external refuge; with the Dhamma as your island, the Dhamma as your refuge, seeking no other refuge. The Buddha actually advocates taking the dhamma as our refuge. The dhamma includes the sangha (and the Buddha), so rather than this quote pointing to a arrogant attitude of “I know what’s best for me”, it rather points to a modest accepting of the Triple Gem as the guiding light in our lives. The Buddha never intended for everybody to just go out and read a few books and then make up their own paths, which is what “spirituality” primarily consists of today. We all follow somebody or something, whether we recognize it or not. We often overestimate our own spiritual attainments. A good sign to know if this is the case to ask yourself how well you’re doing spiritually. If you consider yourself advanced, this is an indication that the opposite is true. Almost none of the saints of any religion have considered themselves advanced. In fact, the contrary is true. Whether Catholic, Buddhist, Hindu, or Muslim — the great spiritual teachers had guides and followed the precepts of their religions until their ends. Furthermore, they were often disillusioned with their own lack of attainments, complaining of sins committed or hearts still unpurified. We all follow something or somebody. If we think we’re beyond following, then this simply means that we’re following our own feelings and whims, which are unreliable, unstable, and prone to be manipulated by the world. As a Buddhist teacher, mentor and, yes, podcaster (for the last 10 years at Dharma Punx NYC, and a visiting teacher at other spiritual communities) I’ve received countless emails in a similar vein to the above. The answer, each time is, “Sorry, but that’s not possible.” The issue isn’t my availability or willingness, but rather recognizing the limitations of meditation in and of itself. Human beings are social beings; its how we’re hardwired. Our innate drive to companionship has allowed us to survive, indeed prosper over the ages. Note, for example, that neanderthals were not only bigger than us, they were stronger, faster and even had larger brains. But their gray matter was largely claimed by the regions that process eyesight and body movements; our brutish cousins were far more likely to scrounge for resources alone rather than in cooperative groups. Our gray matter, conversely, balances toward large frontal hemispheres, which provided the capacities for language and socializing emotions, both of which are necessary for lasting, secure interpersonal connections. Almost all of our friends at one point started out as complete strangers — indeed, potential adversaries for resources. Somehow we managed to put aside our ingrained suspicions, and engaged our empathetic skills; we managed to slowly drop our defenses and coordinate our plans, developed a willingness to disclose our secrets and empathize with each other’s emotions; we relieved our burdens and shared our abundance. So we exercised our great survival advantage, an attribute that has been honed over millions of years. To the degree that human evolution was set in motion with a plan, the underlying goal achieved its fruition when we fire up our empathetic synapses and disclose our sadness, frustrations, joys and fears to each other. Indeed, while we may like to believe that we are creatures of reason, what we long for is connection. Emotional connection, based on eye contact, reassuring expressions, safe, reassuring embraces, are as essential to psychological health as food and exercise is to the body. Baseline happiness studies, from the esteemed research of Sonja Lyubomirsky, Jonathan Haidt and Roxane Silver, to the World Happiness Report, have demonstrated what is referred to as the “hedonic treadmill”: we adapt to changes in financial security far more quickly than we suspect. For example, people who win the lottery, after roughly six months, return to the same level of happiness they sustained before picking the right numbers. But the loss of relationships leave lasting residues in the psyche; this is why those who retire often experience anxiety and depression — not the loss of income, but the loss of interpersonal connections found at a workplace. Indeed, happiness research shows that the connection with close friends is the single greatest determinant to peace of mind — and while connection to friends is largely under our control, genetics, alas, is not. Given the importance of connecting with and caring for others, we might well wonder how can we secure our relationships? Decades of research into relationships by the renowned psychologist John Gottman shows that human links are cemented by the way we respond to each other’s bids for attention. Do we put aside texting on our smart phones, look away from Facebook or the television screen and turn our attention to each other and empathize? If so, Gottman’s studies show we’ll stick together, and be the happier for it. Alas, if we shrug off bids for connection as unimportant, or avoid working through interpersonal conflicts, choosing avoidance rather than communication, then we placing our psychological health in jeopardy, no matter how much money we make or what accomplishments we achieve. Of course, given how painful experiences of abuse, rejection, abandonment and shaming can feel, how long the wounds can last, its understandable that many of us seek virtually any solution to numb our emotional pain rather than risking new connections. We’ll seek pharmaceutical solutions, binge on Netflix, work ourselves into grave before taking on the peril of disclosing our authentic emotions to a friend, therapist, spiritual guide. Yet it is precisely through disclosure that our distress is finally mitigated; this is the nature of the human experience, like it or not. So when we think of deep spiritual practice, we might visualize a christian renunciate, buddhist monk or hindu yogi sitting in unaccompanied silent reflection, these cultural tropes reveal a widespread misapprehension. Meditative practices performed in isolation can help us recognize and process our emotional states, but true healing lies in those most vulnerable moments, when someone looks us in the eye, sees our pain and provides us with the mirror we so deeply seek. For those who are first introduced to Shin Buddhism, there can be some initial confusion about our tradition. This confusion usually revolves about Amida Buddha and the Pure Land and how to these symbols can make the Shin tradition seem like some form of a theistic Buddhism, with Amida Buddha as a Savior/ God figure and the Pure Land like some sort of Buddhist heaven. This is understandable. It is important to note that we are dealing with a religion in translation, where language can fail us or at least get in the way. When dealing with the language and diction of Shin Buddhism we can get caught up in old meanings and previous contexts of words such as “saved” “sin” and “evil” (especially for us who come from a Christian background). In translation, the same words may have been used in a previous context but when they are used in relation to Shin Buddhism, the original intent, and meaning are lost. The language used can be similar but not the same, the words can get in our way. From my perspective, in Buddhism –when it speaks about deities, bodhisattvas and Buddhas, it is a symbolic representation of different aspects of an awakened humanity. Or even characteristics of reality itself, but do not refer to any god. Amida Buddha is venerated because he represents the perfection of compassion and wisdom; and the capacity within each of us, to be perfectly compassionate with others and ourselves. “Since our sin is against the Ruler of the Universe, “the wages of [our] sin is death” (Romans 6:23). Not to punish it would be unjust. So God sent his own Son, Jesus, to divert sin’s punishment from us to himself. God “loved us and sent his Son to be the propitiation”—the wrath-absorbing substitute (emphasis added)—“for our sins” 1 John 4:10. So the role of Jesus is to stand between man and God and pay the price of our wrath inducing disobedience. How does one take advantage of what Jesus has done? By having trust in him and by calling on his name and he will, by his mercy and grace allow those whi do to enter into the rest of the lord. Ok, now that does sound familiar, especially when we read also that Amida Buddha saves all who intone his name, namu amida butsu, even if just once with a pure heart; that they will be born in the Pure Land. So it is like Jesus=Amida or Amida = Jesus. On closer inspection, we discover that they are actually quite different, even if the way to access their symbolic aid is similar. Amida acts as symbol, is the finger pointing to the truth of Reality as it is. Dr. Nobuo Haneda has explained. “Mahayanists were interested in identifying the universal source (or basis) of the inspiration that awakened and produced Shakyamuni. And they identified it as the Dharma or universal Buddhahood. In order to show this spiritual basis of Shakyamuni in a more concrete human form, Mahayanists created the concept of “Amida”—an ideal human being, a “humble and dynamic” human being who embodies the Dharma. As we can see, Amida is not a god, nor a wrathful judge, not a creator, nor lawgiver and there is no such thing as sin per say in Buddhism, simply delusion. Amida is not like Jesus since there is no god, not god to disobey, to be wrathful, or who needs to be appeased because of our disobedience and finally no sacrificial requirement to make man/woman right with God. An yet, Shinran Shonin, the founder of Shin Buddhism, has said that Amida saves whoever has sincere faith in him. The question then would be what does he save us from? The story of Amida Buddha gives us an alternative narrative to our ego- entangled story. Amida is not God but a symbol of the feeling or sense that many of us have, of a loving immeasurable mystery at the heart of existence. Entrusting in Amida Buddha is trusting in that sense and is the source of the Great Compassion that frees us from our delusory ego-self – of shame, separation and lack. When we turn to entrust in the Compassion of the Oneness of Life as symbolized by Amida, a path opens before us for us to experience true compassion.. Entrusting in Amida Buddha is a skillful means to access the reality of the Oneness of Life that lies beyond language; that comes from the very wisdom and ever present grace waiting us at the core of becoming fully human. Dharma Glimpses from Bright Dawn.